TCU Freed Field, located on the east side of Penn High School, is a state-of-the-art facility that is home to Penn High School Football, Boys and Girls Track, and the Club Sports of Boys and Girls Lacrosse. TCU Freed Field also hosts band competitions, the Silver Mile, intramural sports events, youth sports camps and athletic training events and Penn High School Wellness classes. With a seating capacity of 8,000, TCU Freed Field is one of the largest high school football venues in the state of Indiana. There are 4,500 seats on the home side, and 3,500 seats on the visitor’s side. Additional bleachers can also be brought in for special events. TCU Freed Field features an AstroTurf multi-purpose synthetic surface that was installed in 2010. Surrounding the football field is a Martin Surface all-weather 400-meter eight-lane track that hosts IHSAA Sectional events. There are dual facilities in the track complex for high jump, long jump and pole vault, allowing for flexibility due to weather. The football field has full lighting and LED scoreboards. There is a two-floor press box that can accommodate 60 members of the media, coaches and officials. Freed Field also features the Zolman’s Tire & Auto Care North Concession Stand. There is also a concession stand in the south end of the football field complex. There are restroom facilities at the north end. The concession stands and restrooms were renovated in 2014. There is a natural grass practice field located adjacent to the varsity field. 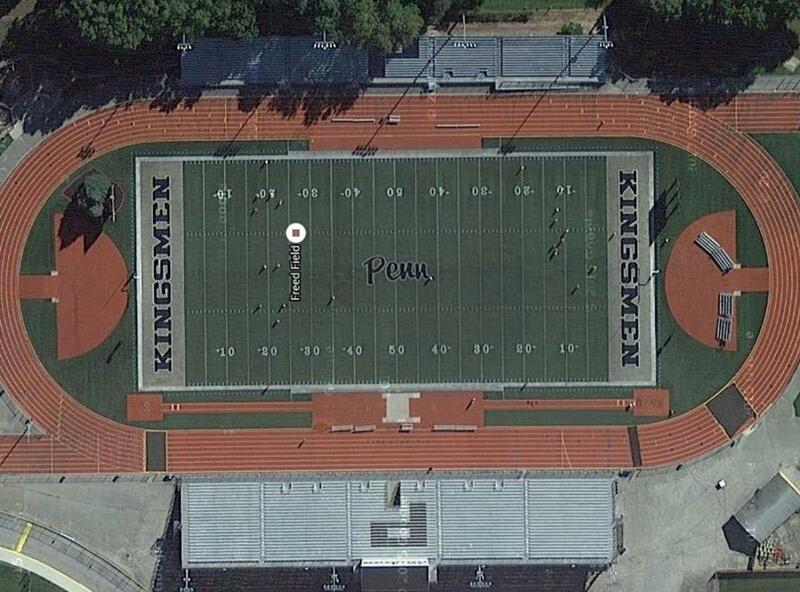 Freed Field was constructed in 1958 and named for former Penn Twp. Trustee Vernon Freed. 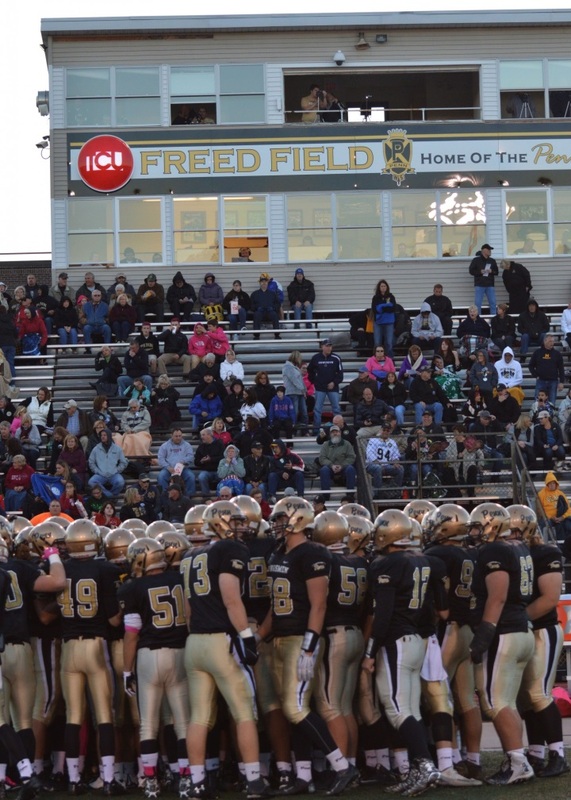 Starting with the 2015 season, community partner Teachers Credit Union obtained naming rights to Penn’s home football field. Also in 2015, Zolman’s Tire & Auto Care was granted naming rights for the north concession stand.